Paper shredders are a fast and convenient way to ensure that your personal information is protected from potential thieves. Our team did extensive research on a variety of paper shredders to help you choose the best one for your needs. We looked at shredders for home use, heavy-duty and high-security shredders, the best overall and the best value. Each paper shredder in our list includes its top features, specifications and other considerations. Also, see our buying guide below to learn more about paper shredder cutting ability, security levels, run time, safety features, noise level and cost. Read more about our methodology. The Bonsaii 4S23 has an impressive list of features, including a two-hour run time, P5-level security, a low 58dB noise level, anti-jam and overheating protection and the ability to chew through credit cards, CDs/DVDs, paper clips and staples. The low-cost AmazonBasics 6-sheet shredder includes some features found in more expensive paper shredders. Besides shredding six pieces of paper at once, you can also shred your credit cards. And the P4 security level gives you the assurance that your private data is well protected. For a reasonable price, the AmazonBasics 12-Sheet Shredder features P4-level security, a large pull-out wastebasket, and a wide paper feed. And besides shredding 12 sheets at once, this shredder will also chew through credit cards and CDs. 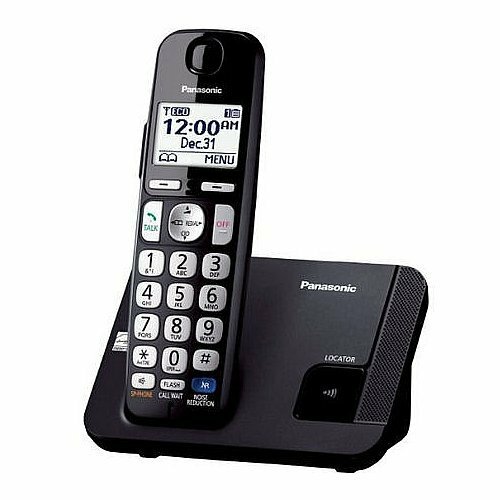 The Fellowes 76Ct powers through CDs, DVDs, credit cards, junk mail, 16 sheets of paper at once and even the staples and paper clips holding those sheets together. Other features include a 6.5 gallon wastebasket, jam protection and 60dB noise level. The P5 security level Bonsaii 5S30 Shredder micro-cuts your documents into tiny confetti impossible to piece back together. Other top-of-the-line features include a four-hour continuous run time, a low 58dB noise level, anti-jam protection and a large 7.9 gallon pull-out wastebasket. First, you need to consider what you’ll be shredding. Paper shredders that shred more than a single sheet at once—even up to 16 sheets—can speed up your job. Some shredders will also chew through credit cards and CDs or DVDs. And many heavy-duty shredders will take on staples and paper clips. Different shredders meet different government-established levels of security that range from P1 (least secure) to P7. Levels P1 to P3 typically cut the paper into long strips. This speeds up the shredding time, but provides less security. P4 shredders use a crosscut that creates short, thin strips like large confetti. Piecing the small strips back together would be very difficult, so this is a good choice for most homes and small businesses. P5 shredders micro-cut the paper into much tinier pieces than the P4, making this a great choice for more sensitive documents. P6 and P7 shredders are typically used by the government for classified documents. All shredders have particular run times where you can shred continuously until the shredder needs a cool down period. These times can vary from two minutes to four hours. Consider a shredder’s run time based on how much you plan to shred at one sitting and how much time you want to wait for cool down before you can resume shredding. Safety is important to consider, especially if you have small children who could get near the shredder. Most shredders have an automatic shutoff if a “foreign” object is introduced into the paper feed. Some may include a cover plate that completely closes the feed entry when the shredder is not in use. You should consider the noise level of a shredder, which can be more important if you’re using the shredder in a small home or office. Some shredder specifications will include a “dB” or decibel rating. Decibel ratings can range from 0 to 180. Some examples of dB levels are: 60 normal conversation, 100 a hand-held drill, 145 a firecracker and 180 a rocket launch. Paper shredders priced under $50 can include a lot of the features you may be looking for, including P4 security, multiple-sheet shredding and the ability to shred credit cards. However, these less expensive models may have smaller wastebaskets, may be less durable so they don’t last as long and, in order to empty the wastebasket, the top of the shredder must be removed. In the $50 to $100 range, features may include a pull-out wastebasket, overload protection, more cutting capacity and more advanced safety features. For shredders over $100, you’ll find shredders with all the bells and whistles including ability to shred staples and paper clips, solid construction, advanced thermal, overload and jam protection, longer continuous run times and larger wastebaskets. 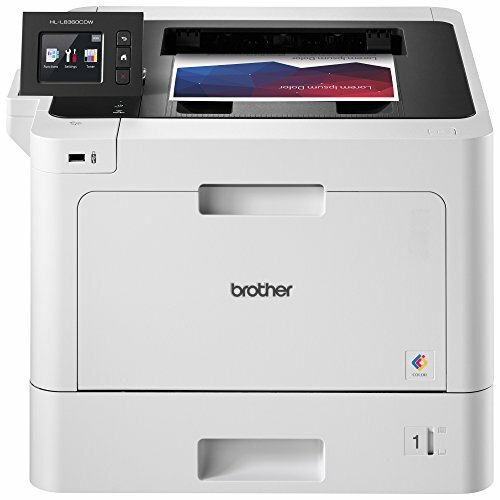 For paper shredders that have the best overall performance, you’ll want to look at ones with the most features, and the Bonsaii 4S23 fits the bill exactly. The two-hour continuous run time allows you to shred 4500 sheets before cool down is needed, as well as credit cards, CDs, DVDs, staples and paper clips. Bonsaii’s patented cooling system protects against overheating by circulating cool air and expelling hot air. Their advanced jam detection prevents jams from happening by automatically reversing the blades when over-loading is detected. The P5 security level means your sensitive documents are micro-cut into tiny, confetti-size pieces. And the low, 58dB noise level is just below that of normal conversation. All these features make the Bonsaii 4S23 Shredder an excellent choice. Cutting ability. 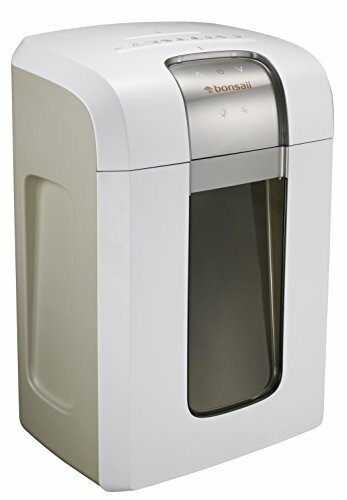 The Bonsaii 4S23 shredder will chew through your paper, credit cards, CDs, DVDs, staples and paper clips for a continuous run time of two hours before cool down is required. Security level. Whether you’re concerned about protecting your personal information such as social security numbers or sensitive and confidential business documents, this shredder will set your mind at ease. The P5-level security ensures your documents will be micro-cut into confetti-like pieces 5/64 by 25/64 inches (2mm x 10mm), virtually impossible to piece back together. Noise level. 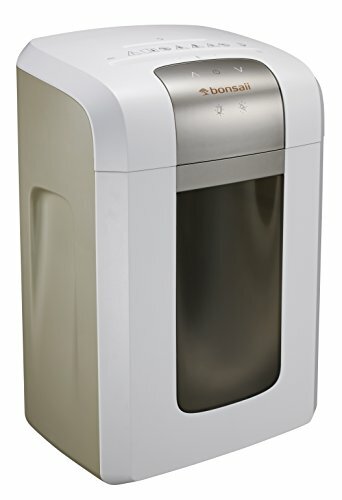 This paper shredder is rated at 58dB, and considering that 60dB is the rating for normal conversation, the Bonsaii 4S23 is one of the quietest paper shredders on the market. Large pull-out wastebasket. The six-gallon wastebasket means you have to empty it less often. And since the wastebasket pulls out, emptying it is that much easier. Anti-jam and overheating protection. The advanced jam detection automatically reverses the machine when it’s over loaded. And a patented cooling system protects the shredder from overheating. Casters. Though the shredder is on casters, you can only roll it side-to-side, not front-to-back. Shredding credit cards. The manual says to shred credit cards in the CD slot, which only shreds in 3/4" strips. But users have put the cards through the paper shredder with no problem, ensuring credit cards are shred to P5-level security. You don’t have to break the bank in order to have a paper shredder in your home or small business, and the Amazon Basics 6-Sheet shredder is a great, low-cost choice. The P4 security level ensures that your private documents, cut into pieces 5/32 by 15/32 inches (4mm x 12mm), will be virtually impossible for potential thieves to piece back together. This shredder cuts six sheets of paper at once and chews through credit cards. 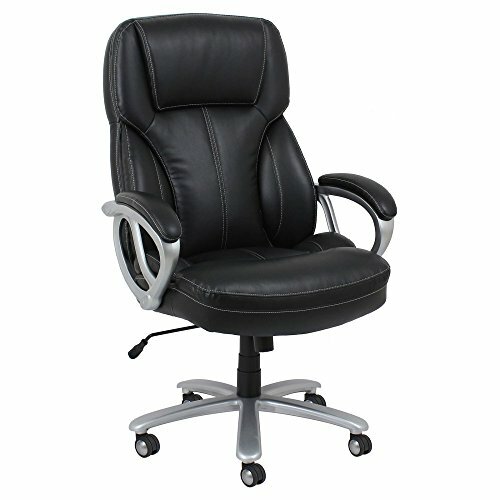 It has an automatic start, as well as automatic shutoff if the machine is overheated. Add to that a manual reverse to clear paper jams, and you have a solid paper shredder for a remarkably low price. Cutting ability. With this AmazonBasics shredder, you can shred six sheets of paper at once, as well as credit cards, features typically found in higher-priced shredders. Security level. The P4 level is considered excellent security for your private data, whether in your home or most small businesses. Documents are cross cut into confetti-like pieces approximately 5/32 by 15/32 inches (4mm x 12mm). Overheat protection. This paper shredder is protected from overheating by automatically shutting off if the machine becomes too hot. Short run time. The run time is only three minutes with a 30 minute cool down time. However, this can be adequate if you don’t have large quantities of documents to shred. Small wastebasket. The 4.1 gallon wastebasket is smaller than many other shredders, but at this size, the shredder takes up less space. No pull-out wastebasket. In order to empty the wastebasket, you must first remove the shredder head on top of the unit. 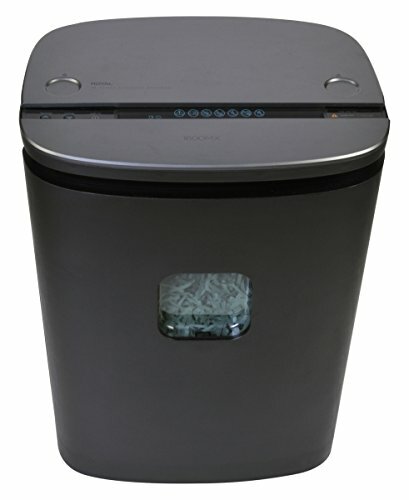 A smart way to protect yourself from having your personal information stolen is with a home paper shredder. Simply tossing your personal documents into a wastebasket opens you up to the possibility of identity theft. And instead of hauling boxes of documents to a shredding company, a home paper shredder lets you easily dispose of documents that contain personal information such as your social security number, address, phone number and checking, savings, 401K and other account numbers. Using a paper shredder in your home is an excellent and relatively inexpensive way to ensure worry-free protection of your private data. The reasonably priced AmazonBasics 12-Sheet Shredder is an excellent choice for a home paper shredder. At a low noise level of 65dB, it takes on 12 sheets of paper at once, credit cards and CDs without bogging down the machine. With the P4-level security, you’ll have the peace of mind knowing that your documents, crosscut into tiny confetti-like pieces, are safe from possible identity theft. 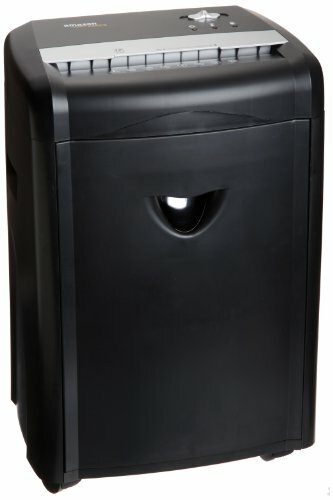 This shredder comes with a large 6.7 gallon wastebasket which pulls out for easy emptying. For the convenience and security of a home paper shredder, the AmazonBasics 12-Sheet is a great option. Cutting ability. With this AmazonBasics shredder, you can feed credit cards, CDs and 12 sheets of paper at once, without jamming or overheating the machine. Security level. The P4 security level means your documents will be shredded into tiny pieces that are virtually impossible to piece back together, ensuring your private data is well protected. Large pull-out wastebasket. 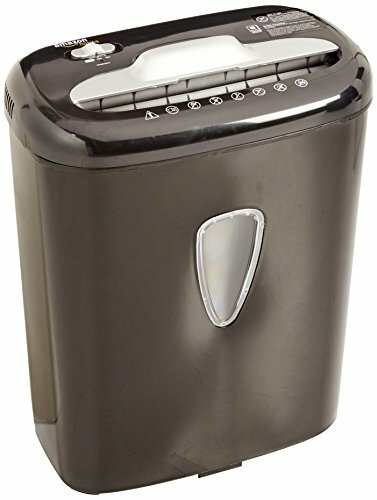 This paper shredder has a 6.7 gallon wastebasket so you don’t have to empty it as often. And, for extra convenience, the wastebasket pulls out so you don’t have to remove the top to empty it. Noise level. The noise level of normal conversation is 60dB, and this shredder’s level is 65dB, making this one of the quieter shredders available. Difficulty opening wastebasket. Some reviewers had to tug on the wastebasket in order to pull it out. No-lock casters. Casters cannot be locked, which proved to be a problem for reviewers with non-carpeted floors. However, pads can placed under the casters to keep them from rolling. A heavy-duty paper shredder is a great choice if you have lots of paper documents and other media to shred. Throwing important documents into the wastebasket leaves you exposed and open to identity theft. Even simply cutting your credit cards and throwing them away doesn’t protect you from someone finding, piecing together and using your card. Heavy-duty shredders will chew through credit cards, DVDs, paper clips, staples and multiple pages of documents at once, making these shredders a great choice for safely and easily disposing of all your personal information. When it comes to heavy-duty shredders, the Fellowes 76Ct is a monster that chews through junk mail, CDs, DVDs, paper clips, staples and 16 sheets of paper at once. It does all this with a low 60dB noise level. This shredder has a respectable run time of 20 minutes before cool down is required and a P4 security level. The “jam buster” button powers through jams so there’s no shredding interruption. An indicator light lets you know when the 6.5 gallon wastebasket is full. And this is one of the few shredders that comes with clear bags for the wastebasket and a bottle of oil for blade maintenance. 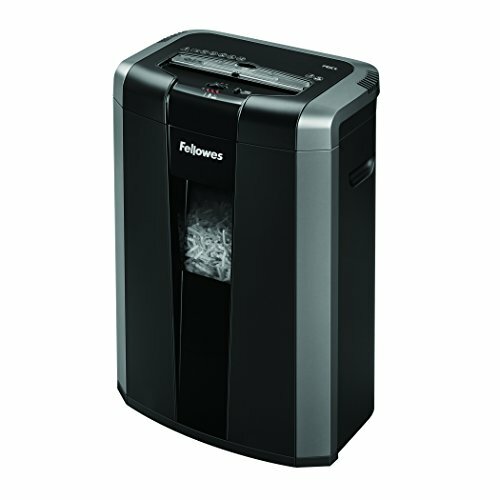 If you’re in the market for a heavy-duty shredder, the Fellowes 76Ct is an excellent choice. Cutting ability. A monster of a shredder that devours junk mail, CDs, DVDs, paper clips, staples and 16 sheets of paper at once. Security level. A P4-level security shred is considered excellent security for personal data and for most business documents. Documents are cross cut into confetti-like pieces approximately 5/32 by 15/32 inches (4mm x 12mm). Jam protection. 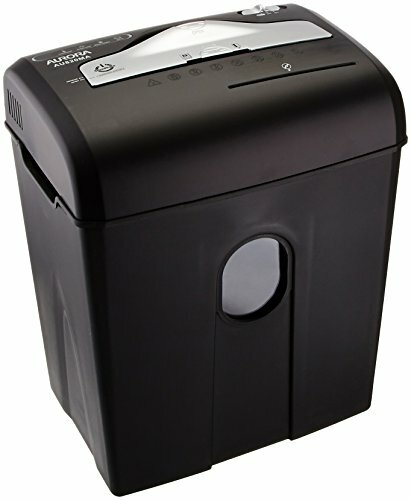 This paper shredder has a “jam button” that, when pressed, powers through the jam, providing uninterrupted shredding. Noise level. The Fellowes “SilentShred” feature provides a noise level of 60dB, the same level as normal conversation. Large size. Some reviewers found the shredder to take up too much space. However, measuring 15 x 10.44 x 21.5 inches, it’s smaller than some other heavy-duty shredders. The Royal Consumer 89152Q Shredder is a great choice if you want to shred credit cards, CDs and DVDs. This shredder also takes on sixteen sheets of paper at once and chews through any staples. With a 60-minute run time, you’ll be able to plow through a large number of documents before cool down is required. And the seven-gallon wastebasket means you can empty it less often. Convenient casters let you easily move the shredder around, and then the casters lock to keep the shredder in place. An array of LCD indicators include “ready auto,” “forward,” “reverse,” “bin full,” “overload,” and “overheat.” All of these features and more make the Royal Consumer 89152Q a great option for a heavy-duty shredder. Cutting ability. The Royal Consumer 89152Q takes on 16 sheets of paper at one feed, staples, CDs and DVDs. Run time. You can shred your documents continuously for 60 minutes before a 40 minute cool down time is required. Large wastebasket. The convenience of having a seven-gallon wastebasket allows you to empty it less often. P3 security level. A P3 security level is considered fine for confidential business and personal documents such as old tax returns, canceled checks and personnel information. Since the shred is not as fine as higher levels, shredding will go more quickly. Does not shred paper clips. Though you don’t have to remove staples from your papers, this shredder will not accept paper clips. In today’s world, where identity theft and other breaches of security are serious and real issues, you need to keep your personal information and sensitive business documents out of the hands of potential thieves. Paper shredders are rated per government-established levels P1 to P7, depending on the size of the cut paper. For high-security, you’ll want a shredder rated P4 or higher. For an extra layer of protection and peace of mind knowing your private data is safely disposed of—whether for home or business—a high-security paper shredder is an excellent choice. The Bonsaii 5S30 Shredder is loaded with features that provide not only security but convenience as well. The P5 security level is the highest level shredder before those used by the government for classified documents (P6 and P7). One of the longest continuous running times available, you can shred documents for four hours before cool down is necessary. This shredder chews through a stack of five sheets, staples, paper clips, credit cards and CDs/DVDs while maintaining a low 58dB noise level. For added convenience, the shredder comes with anti-jam protection and a 7.9 gallon (30 liter), pull-out wastebasket. If you’re in the market for a high-security shredder, the Bonsaii 5S30 is an excellent choice. Security level. The Bonsaii 5S30 has a P5 security rating in which documents are micro-cut into confetti-like pieces 5/64 by 25/64 inches (2mm x 10mm). Only levels P6 and P7 are higher and these shredders are used by the government for classified and top secret documents. Run time. The four-hour run time allows you to continuously shred a large amount of documents before cool down is required. Noise level. The noise level of 58dB is lower than that of normal conversation (60dB). Anti-jam protection. The shredder detects over-loading and then automatically reverses the machine, preventing jams from bogging down the shredder. Casters. Some reviewers found the casters to be too small, preventing the shredder from rolling smoothly on a non-carpeted floor. The Aurora AU820MA shredder has a P4 security level, which means your personal documents will be cut into confetti-like pieces that will be virtually impossible for potential thieves to piece back together. You can feed in eight sheets of paper at once, and shred credit cards, CDs/DVDs, staples and small paper clips. 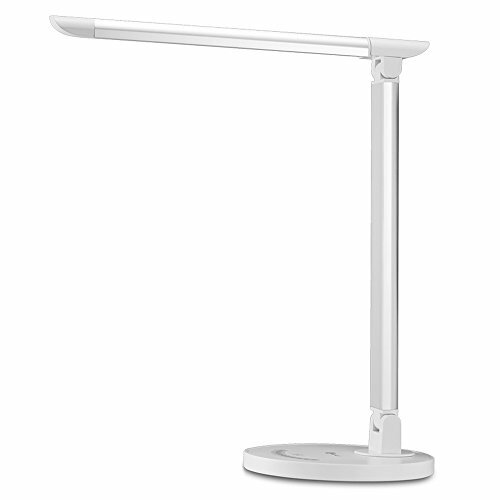 This model has great safety features as well, including an automatic power shut-off when forced entry is detected. And when the shredder is not in use, a cover plate completely closes the feed entry. Other features include auto start/stop and overload/overheat protection. If you’re looking for a bargain in a high-security shredder, the Aurora AU820MA is an excellent choice. Security level. With the P4 security level, your documents will be cross cut into tiny pieces approximately 5/32 by 15/32 inches (4mm x 12mm), ensuring your private data is well protected. Cutting ability. The Aurora AU820MA will cut through eight sheets of paper at once, staples, small paper clips, credit cards and CDs/DVDs. Safety features. Safety is a concern with shredders, especially if you have children, and this shredder features an automatic power shut off should it detect objects larger than paper, credit cards or CDs in the feed entry. And a cover closes over the feed entry when the shredder is not being used. Overheat protection. If the shredder overheats, a red LED indicator light will come on and the unit will automatically shut off. Short run time. The run time is only five minutes with a 30-minute cool down time. However, this can be adequate if you don’t have large quantities of documents to shred. Small wastebasket. The 4.76 gallon wastebasket is smaller than many other shredders, but at this size, the shredder takes up less space. No casters. The base of the shredder as no wheels or casters.